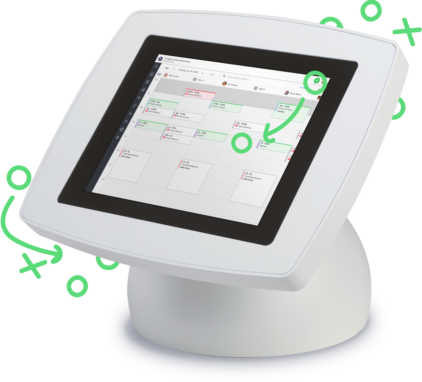 From ultra portable to fixed, configure the perfect wireless point-of-sale setup for your business to manage everything you need with Upper Hand. Every-which-way you turn it, the UP Payments Kiosk is fun and inviting. That's the beauty of its uniquely simple design. No matter where or how you place it, this engaging tablet stand will look amazing and enhance any environment - fits iPad Pro.